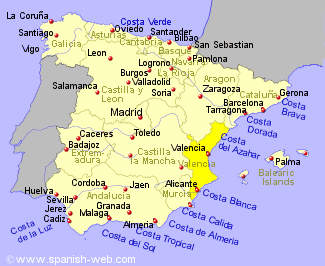 The region of Valencia has a large number of golf courses available on the Costa Blanca coast of Alicante province, becoming fewer and further between as you move north past Valencia into Castellon province. Many are in stunning locations with views of the sea or mountains. Club de Golf de Gandia, a 6 hole course, between Gandía and the sea.